Maybe it's the short hours of sunlight or the fast approaching winter but listening to "july" by Maria Kelly has been a much welcomed addition to the cold landscape of Norway. Featuring intimate vocal melodies and dark, melancholic guitar hooks, I was immediately captivated by her single. 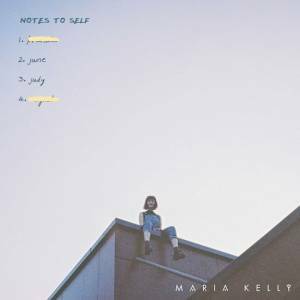 Originally from Ireland and currently based in Berlin, Maria Kelly does a terrific job at crafting music that feels very close and private but is easily filled with her deep resonating lyrics and melodies. "The 4-track diarises her move away from home, exploring themes of leaving familiarity, finding it from within and the importance of honesty throughout it all." You can easily her here sense of exploration in "july" and the journeys and experiences she so easily able to channel through her work.